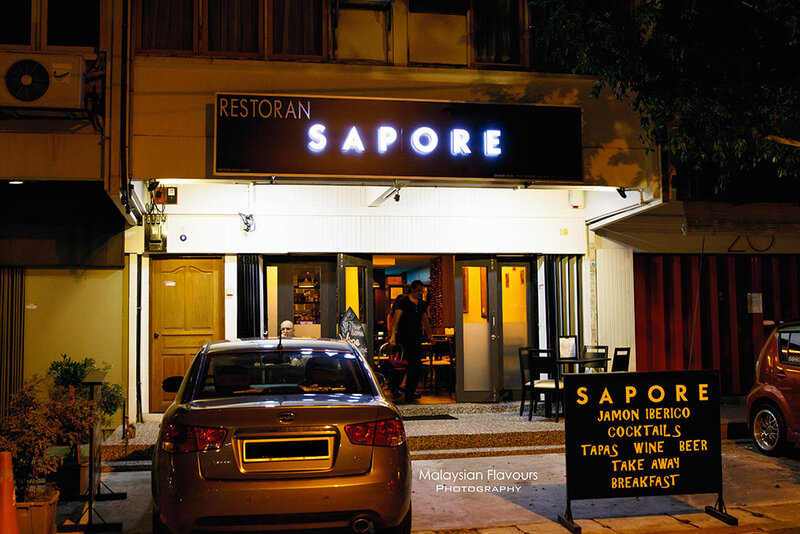 Sapore Restaurant – the latest addition in Persiaran Ampang, Kuala Lumpur. By now, the street is getting really noteworthy with all top-notch eateries lining up, from pioneer La Risata to Fire28 Place Cafe, The Daily Grind, Flint, and now Sapore. 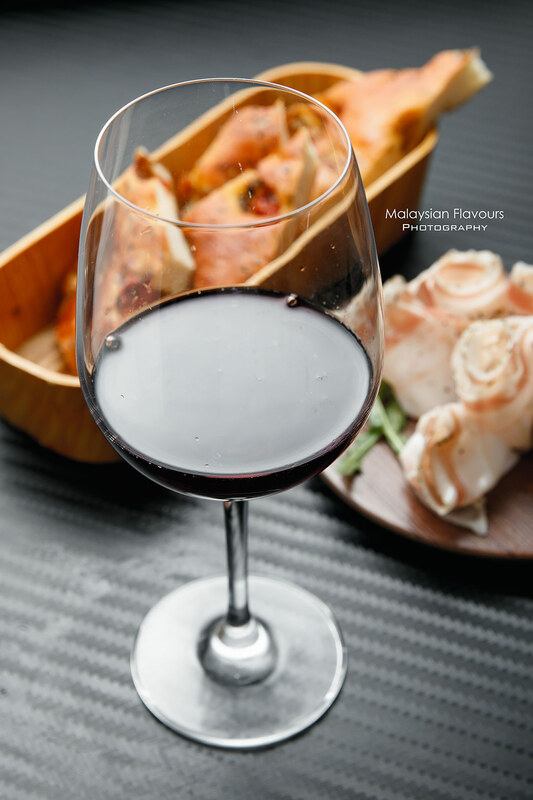 We paid a visit to Sapore few weeks back for dinner, as we really need a place to relax and chill after a long day of stress at work. Started with Cellar Pinol, Raig De Raïm 2014, a really satisfying bottle of wine. Smooth with good length. 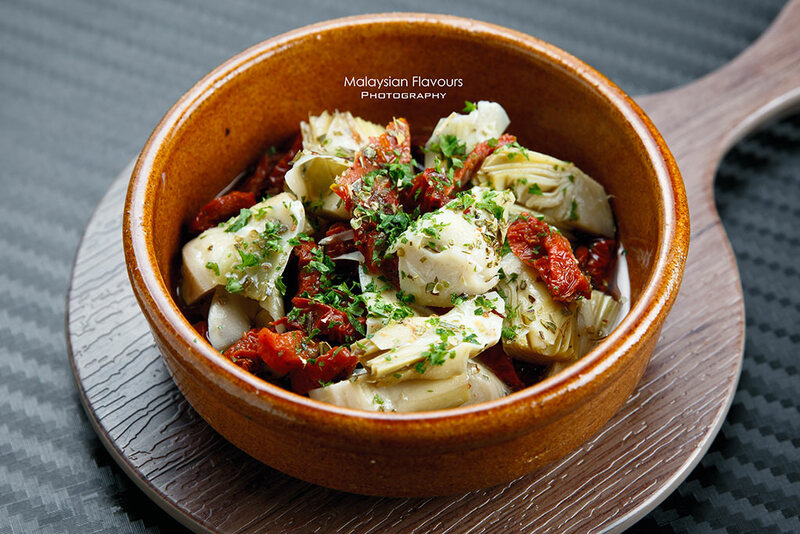 Artichoke & Sun Dried Tomato, Anchovies Marinated in Olive Oil come next. The latter is our must-order when in Spanish restaurant. 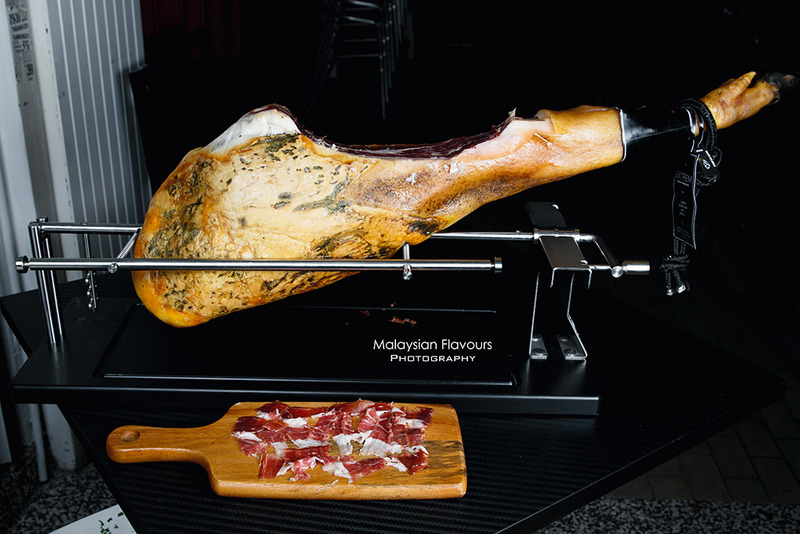 Besides this two, Sapore still have a long list of tapas menu. 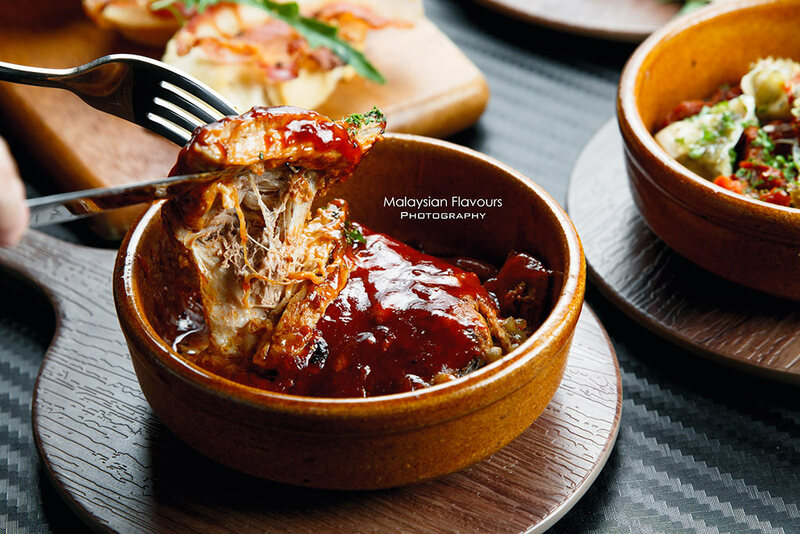 Potato Cake Apulia Style (RM14), Broccoli Saute with Hams (RM16), Eggplant Parmigiana Style (RM18), Trippa, Beef Stewed Tripes, Tomatoes (RM22), Mushrooms Roasted with Tomato (RM22), Pork Ribs Barbecue Sauce (RM25), Cod Tripes (RM29) for hot tapas; Spanish Olives Green (RM12), Salad Momotaro with Tomatoes & Onions (RM15), Salad Beetroof and Queso de Cabra (RM16), Anchovies Marinated in Olive Oil (RM22), Octopus Salad with Potato & Celery (RM32), Cold Capellini, Raw Tuna, Truffle Oil Tomato (RM32) for cold tapas. 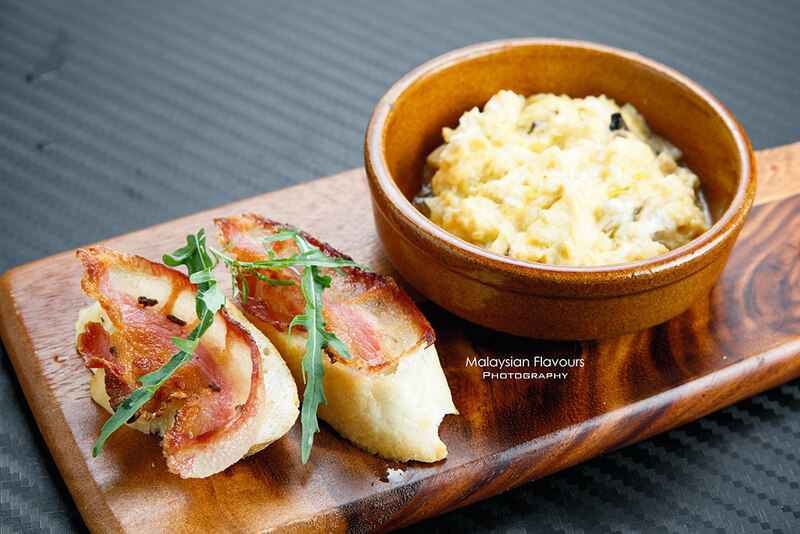 This looked like a breakfast to us but that’s the fun part of tapas. 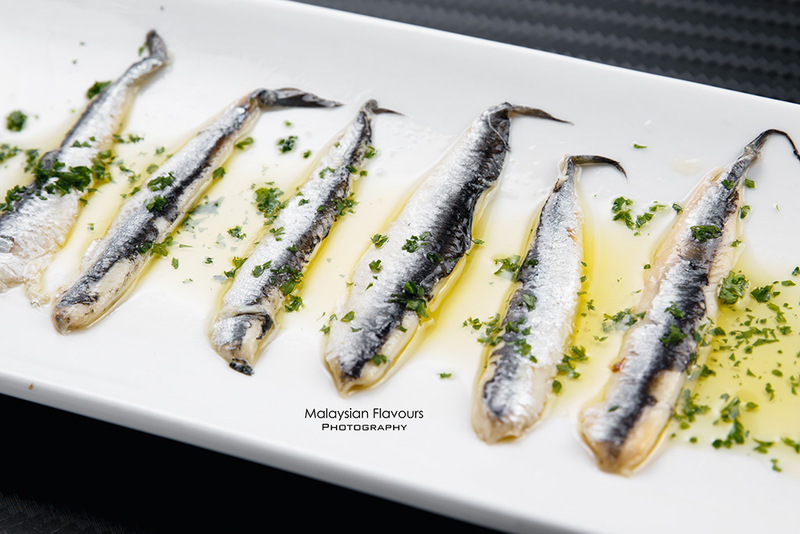 You can do more than just bordering it into cold and hot dishes, as there’s always a myriad of possible creations that make Spanish “appetizer” interesting. This bowl of scrambled eggs was real good stuff. So fluffy and creamy, flavour heighten up with truffle oil. Luxurious touch handled right, not too mild, not overwhelmed either. Delicious even after it went cold (because we spent too much time taking photo, our bad). If you were here, do dig in when it is still hot. 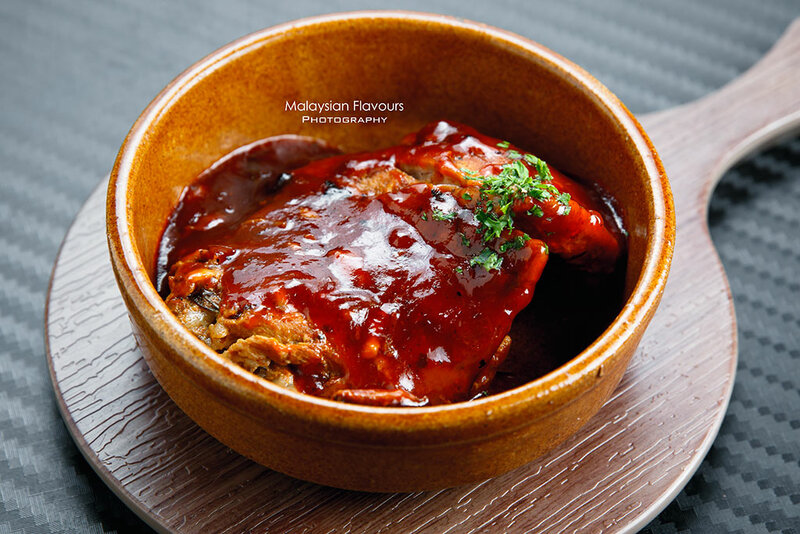 Soft, easily fell-off-the-bone pork ribs, thickly dressed in smoky sweet sauce. 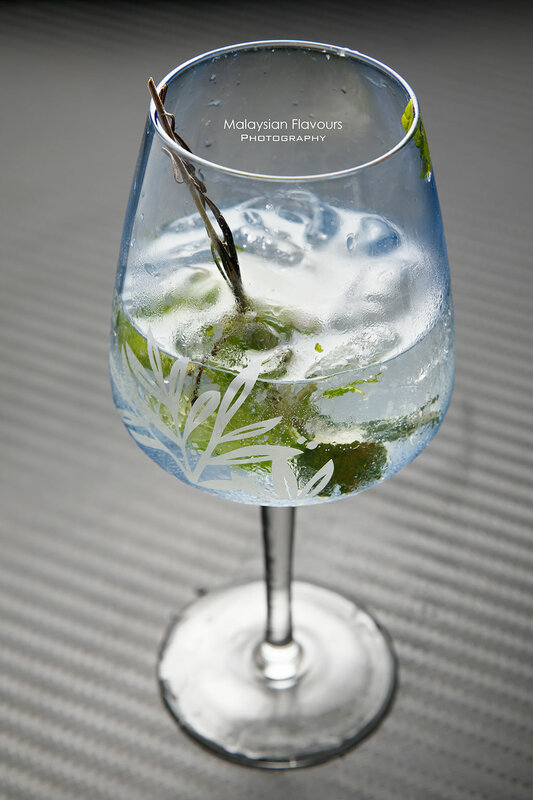 Another favourite of ours. The gravy was so good that our mind started to pop up with Asian staple, hoping to have a bowl of white rice to go with. 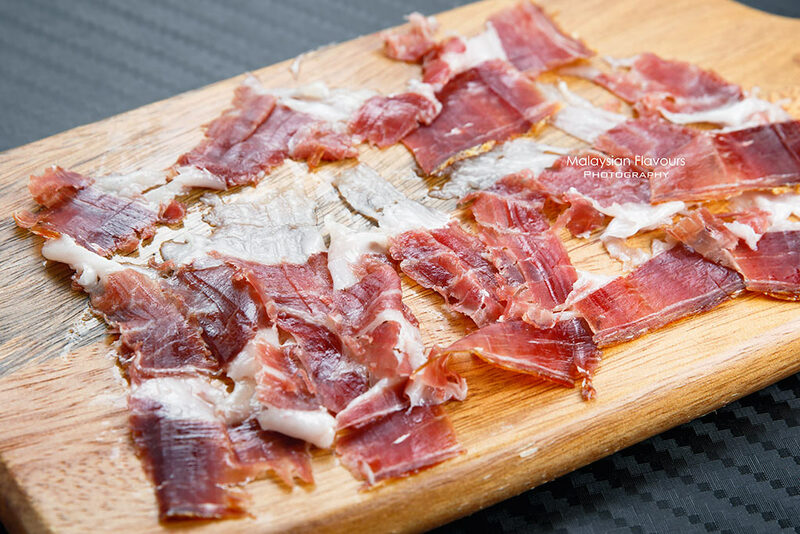 Do not leave Sapore without trying their amazing cold cut, ranging – Porchetta (Pork Roast Rollade Style RM18), Salchichon (Pork Salami RM22), Lardo ( Flavoured Tuscany Pork Lard), Capollo (Dry-cured Pork Shoulder), Cecina (Air-Dried Beef RM32), Jamon Iberico (Ham Shoulder RM45), just to name a few. We especially enjoyed Lardo, or Flavoured Tuscany Pork Lard. Only light bites needed, a little more delicate it will go melt-in-the-mouth. Seasoned up with salt and pepper. 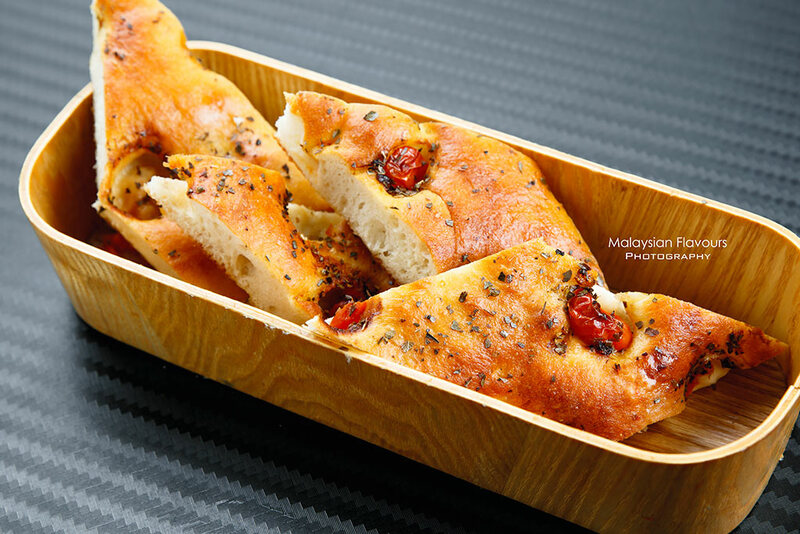 Freshly homemade focaccia wasn’t shadowed in the crowd of meat. 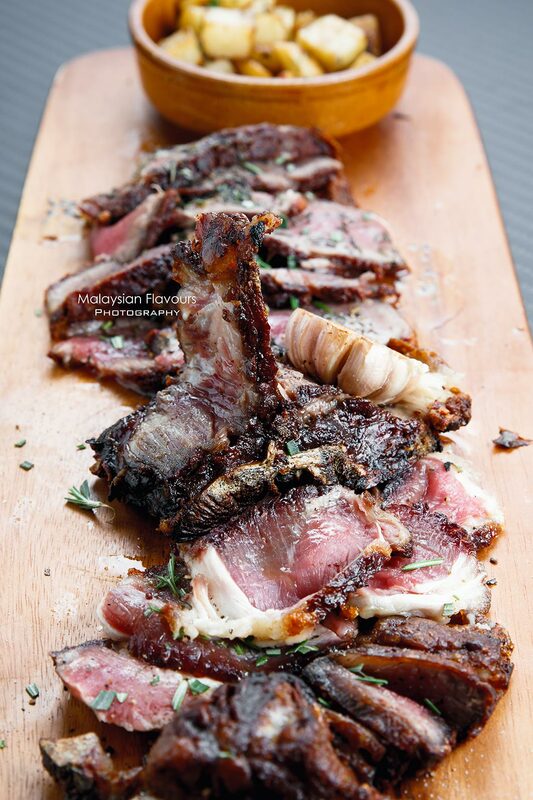 Crunchy at certain parts of the outer layer, alongside with chewy texture, helmed with aroma of herbs. It is hard not liking this Italian flat bread. We checked out only one main course that night, because another plate more we would clearly be in too-greedy status. 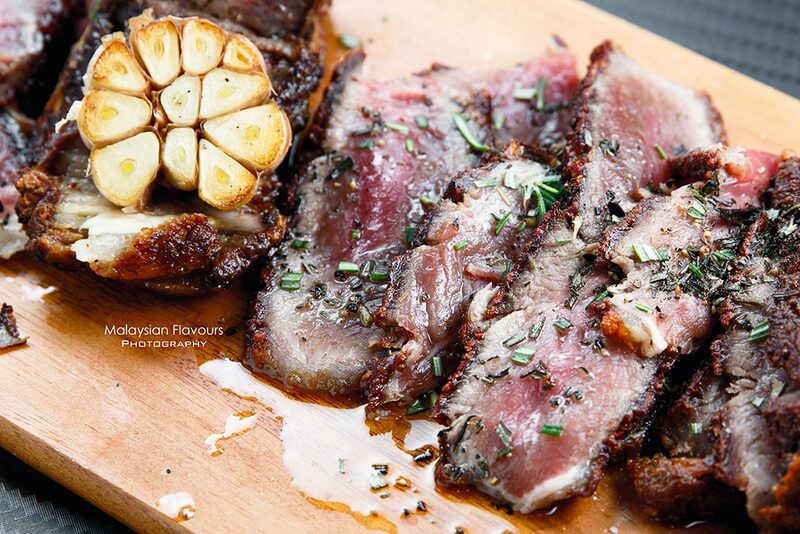 1.1KG of dry-aged T-bone, grass feed, pan seared and served with sea salt Florentina style, potato and Rucola Salad. Huge platter, certainly enough to be shared among 2-3pax. 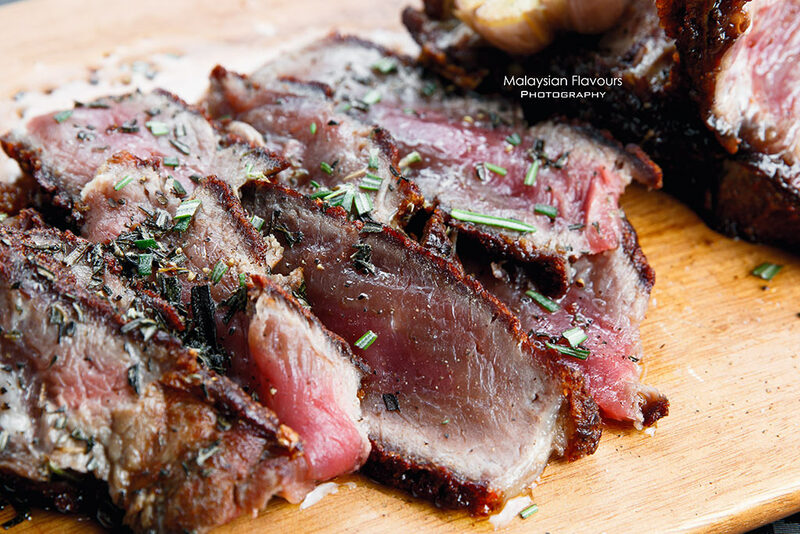 Rich in flavour with moist and tenderness remained, a little burnt aroma from the outer layer. Just the way we like it. Heard that Sapore has awesome Spaghetti Carbonara too. Prepared in classic way with egg yolk, thick and creamy but not saucy nor milky. 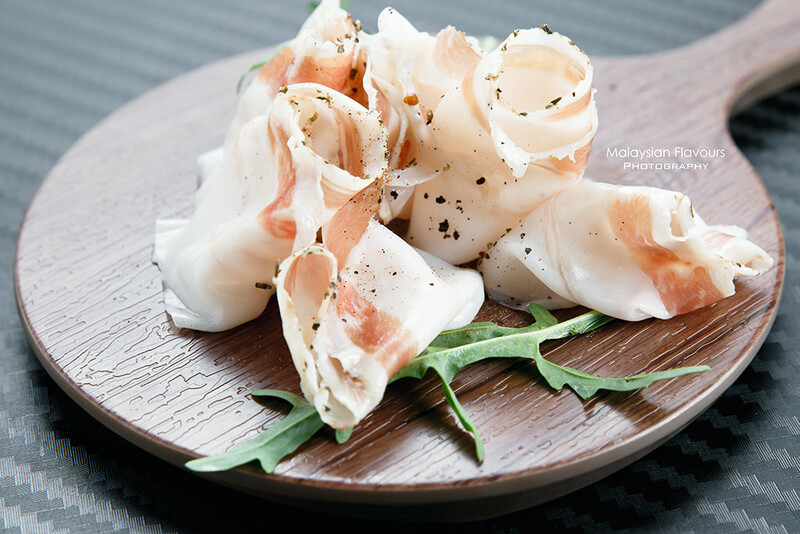 Tossed with Guanciale Ham and Pecorino. Last one, a dessert to end the meal. Panna Cotta here is prized for its texture. 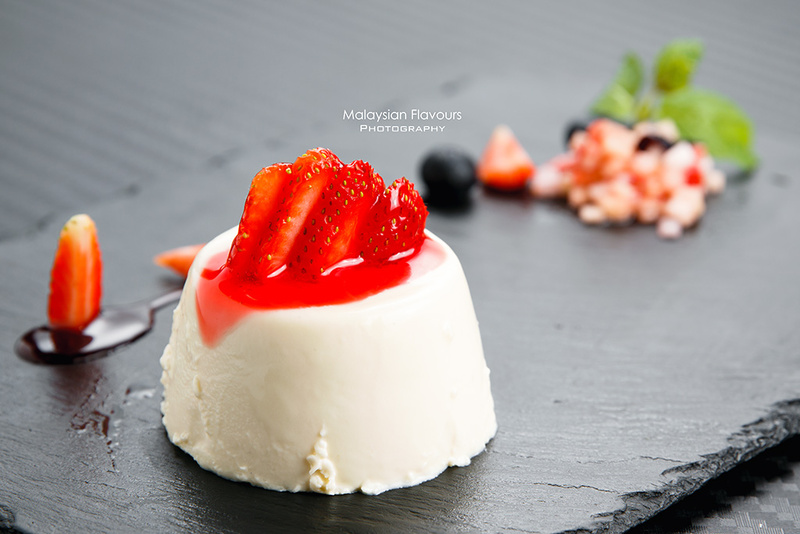 Melting soft, custardy sweet treat contrasting by tang of berries. If our stomach space allowed, we would order signature Italian Tiramisu too. 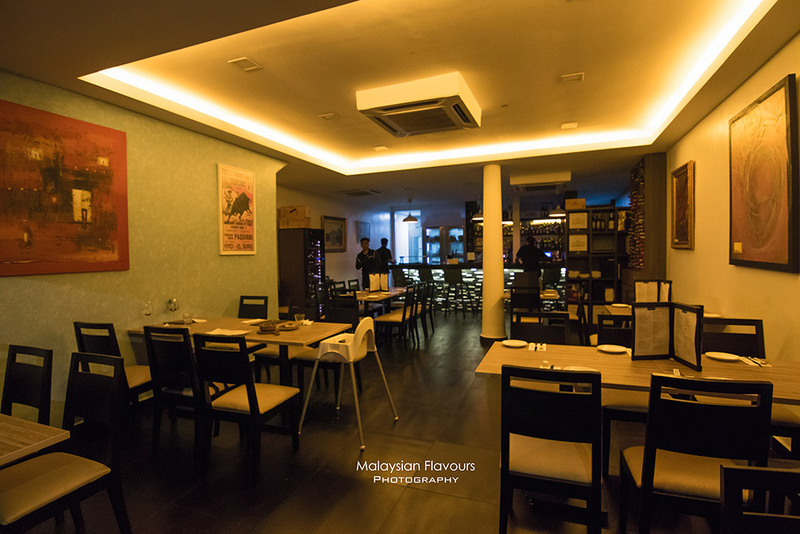 Do check it out when you were here, and let us know how good it is!